Susan Boyle Is Still A Winner! By now, headlines around the world are screaming that ‘Boyle foiled’, Britian’s Got Talent Susan Boyle came in second place to the dance group Diversity. 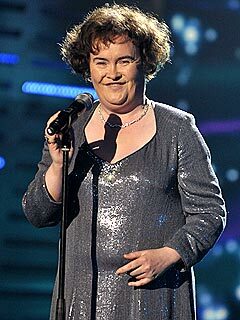 In my mind, Susan Boyle is still a winner. This is a 48-year old woman, who lived in a small village with her cat Pebbles, and literally overnight, became a media sensation. With over 100 million hits on youtube, she suddenly became the focus of the paparazzi. And we all know how kind the paparazzi can be, especially overseas. Let’s not forget Princess Diana. So she lost her cool. Now, when you and I lose our cool, it doesn’t make international headlines. I say this. Let the first person who has never lost his or her cool, be the first one to stand up and take a cheap pot-shot at this lady. Diversity is a great dance troupe, and I wish them all the success in the world. I don’t want to take anything away from their talent and success. But Susan Boyle is still a winner in my eyes, and if someone is smart enough to give her a recording contract, I will be one of the many people taking their hard-earned money and buying that cd. Susan Boyle, you were fantastic! This entry was posted on May 31, 2009 at 4:31 pm and is filed under Uncategorized. You can follow any responses to this entry through the RSS 2.0 feed. You can leave a response, or trackback from your own site.